Richard Sale is a Level 5 Professional Clinical Sports and Remedial Massage Therapist based in Newcastle-under-Lyme & Stoke-on-Trent, Staffordshire. I have always had an interest in Sports Therapy ever since I suffered a severe injury at the age of 16. Post-surgery I had to go through an intensive rehabilitation programme which included physiotherapy, sports massage and stretching exercises. I was so impressed with the therapists that worked with me to get me back to my previous fitness level; this was when I decided I wanted to pursue my career in sports therapy. As a keen sportsman I have always had an interest in how the body works, with my main interests being anatomy and physiology. In 2010 I enrolled onto a Sports and Exercise Science Degree at Manchester Metropolitan University. After graduating I then completed a Level 5 Clinical Sports and Remedial Massage course, this is the highest qualification available at this current time in Sports and Remedial massage and is recognised nationally by various accredited organisations. 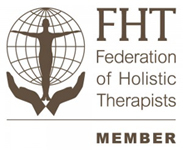 I am now a fully affiliated member of Balens and the Federation of Holistic Therapies (FHT).